The Mercury Grand Marquis is among just three full-size passenger cars Ford Motor Company makes that feature four doors and rear-wheel drive. The Lincoln Town Car is designed for affluent buyers, while the Ford Crown Victoria serves America's police forces, fills rental fleets and does duty for cab companies. 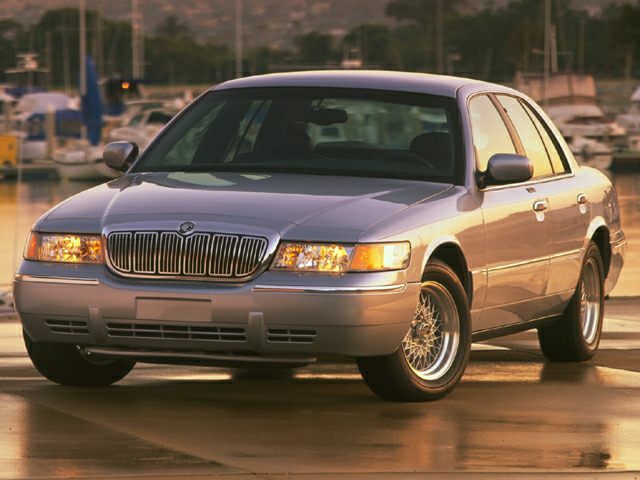 The Mercury Grand Marquis is the full-size car for the rest of us, a car that offers the comfort of the Town Car with strength and durability. Sales of the Grand Marquis have been growing over the past few years. Mercury officials credit changing demographics -- more folks have children or parents living with them, nowadays. And the Grand Marquis offers a lot of car for the money. Only four years ago, the Grand Marquis owned less than 15 percent of the large-car market, but now it's closer to 27 percent. Owner loyalty is the highest in the segment: More than 42 percent of Grand Marquis buyers return for another one. Grand Marquis competes against Oldsmobile Delta 88, Pontiac Bonneville, Buick LeSabre, Chrysler Concorde and Toyota Avalon.